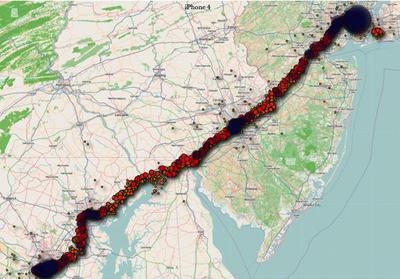 iPhones and 3G iPads Track Your Location: Who Cares? This morning a story hit the web indicating that iPhones and 3G iPads regularly record the location of your device in a hidden file. Locations and the time stamps for when you're at those locations have reportedly been stored on devices since the release of iOS 4, and are restored across backups and device migrations -so it's intentional. If you read through some of the reactions on the web, a lot of them aren't pretty "What do you mean my iPhone stores where I am? Apple is Big Brother. Everyone should immediately destroy their iPhones and iPads to prevent Apple from following them to the ice skating rink on Saturday." When I first read this story this morning, my first thought was "Duh." Cell phone companies have kept this sort of data for quite some time now. The data is protected, and someone has to have a court order to get to it, but it's there. So, the data in question is kept on your phone, and is less protected … it's also buried deep enough in iOS that we haven't heard a thing about it until now, and iOS 4 has been out almost a year. I use Find My iPhone more often than I probably should to figure out where I've left my phone, I checkin regularly to a variety of locations using Foursquare; while those things are a little different than having my every move tracked – I'm not entirely surprised that the phone is keeping up somewhere. I want to be able to know where my phone is when I can't find it. I want my phone to figure out I'm sitting in Subway when I'm trying to check in using Foursquare. Who cares where you go? While there are definitely some people who lead exciting lives of secrecy and intrigue who need to protect the data on their phone – chances are that doesn't exactly apply to the majority of iPhone and iPad owners. Hypothetically, if you lose your phone it's going to take an iOS genius of sorts to get into the location data on it and figure out where you've been and when. What exactly do you think they're going to do with that data? So, my phone thief knows I went to the gym this morning around 6, and then hit Starbucks … how is that useful? A less intelligent thief could just launch Foursquare on my phone and figure that one out, as well as where all my friends are at the moment who haven't had their smartphone's stolen. Sure they might know where my gym is, or even where my house is and when I'm typically not home. I think we're overestimating the average phone thief. My guess is my stolen iPhone would hit the pawn shop pretty quickly (assuming I didn't annoy the thief too much with setting off the alarm on remotely trying to find it). Looking through the phone's software for my location data? Seems a bit far fetched, at least to me. To me, I think of it in a different way: Let's say I was kidnapped. Kidnappers took my phone. Pawned said phone. Police find my phone, have video of my assailants in the pawn shop, and now know where they've been with my phone. Cops raid the dungeon where I'm being held. Everyone makes the 6 PM news. Good times. All thanks to my iPhone tracking its location. Sure, that's a little far fetched…but so is thinking the guy who pick pockets my iPhone is going to go into the phone's software to figure out where I've been and do something horrible with that knowledge. 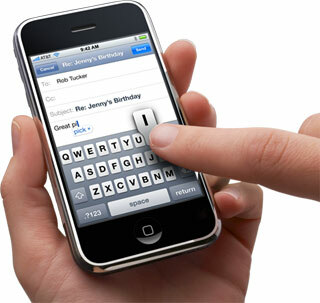 Are any of you really upset that your iPhone or iPad keeps track of where it is and when? What sorts of malicious things do you honestly think might happen because of the tracking? If you're really interested in the topic, I've included a pretty lengthy video above talking about the tracking situation in iOS. If you're really concerned about others getting ahold of your location data, you can encrypt the backup data for your iPhone or iPad like this.